* Total number of reviews and star-ratings are based on data collected during the time period Jennings Heating Company has been using the ReviewBuzz system and may not directly match the data found on each public review site. 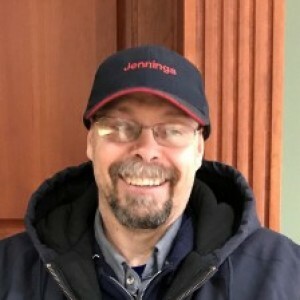 I have been using Jennings Heating to service my heating and cooling systems for years and am quite satisfied with the service they provide. 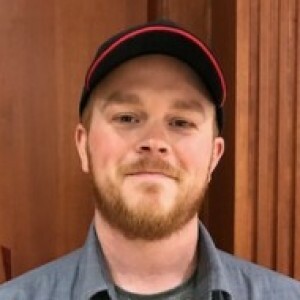 The service technician Brian E. who performed my recent seasonal inspection and tune-up arrived on schedule, provided good advice on ways to sustain the operation of my heating and cooling systems, and performed his work professionally and efficiently. 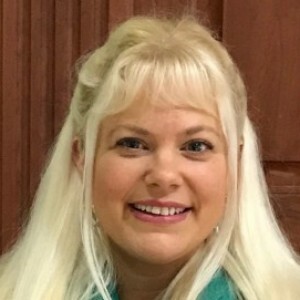 I recommend Jennings to anyone living in their service area. 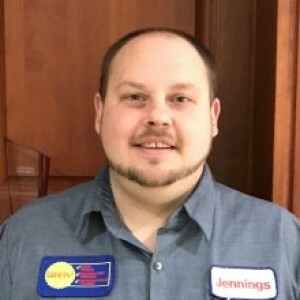 I’ve used Jennings for five years and have always gotten excellent service. Highly recommend them. Hello! I just wanted to reach out to someone in the Jennings company to compliment the amazing service I’ve received over a number of visits now. We called upon your company a few years back when our heat when out and we were just home from the hospital with a newborn. Andy came out incredibly quick and was the nicest guy. He explained everything and got us back up and running with a smile on his face. The dry erase board he left is still hanging on our garage door. Then over the past two days George, Andrew and Dave (and another gentleman) came and installed a generator at my house. They were very friendly and explained what they were doing. My kids said hi to them about 100 times and they always said hi back with a smile on their faces. I appreciate them and wanted to make sure someone else knows that too! I had a whole house generator installed. George came out, explained the install completely and got me on the schedule immediately. 4 guys showed up early and went right to work. They were so good at their job. Cordial, professional and neat. Perfect job. Good price. Nice maintenance plan. NO COMPLAINTS. I would recommend this company to anyone looking for an install. Set me up with the generator that my situation called for. No overkill. In the 3 years that we have lived in our house, we have had a dozen power outages. It was time. So glad a friend suggested Jennings. Many thanks to George and his crew. Had entire house switched over to central air from boiler baseboard heating. Andy, Steve, and Gary went above and beyond my expectations with such a large job. They were very professional and knowledgeable about everything that was being done and made sure that I was satisfied every step of the way. Everything was clean afterwards and looked nice after installing. The cost was also much better than any other company I quoted the same job for. I would recommend them to anyone looking to have work done in their home. Prompt friendly and helpful. Did his business and explained things well. Gave options that would improve costs. 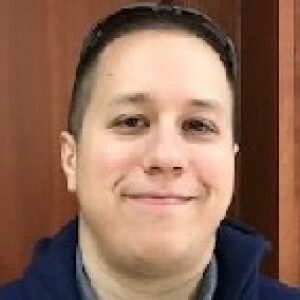 Brian is one pleasant and knowledgeable technician, he clarified and adjusted the thermostat, made my day ! Prompt and courteous service from office staff to repair and installation teams. Ricky M. has isolated and fixed problems twice and the Daves are a top notch install team. I've recommended Jennings to everyone. Ken came in and was very friendly. Walked me through all of my options he was not pressuring me to make a decision right there. He then cleaned my furnace and walked me through why servicing my furnace and AC was so important. David Brown was our technician. I found him to be extremely helpful and knowledgeable. He explained about what the problem was and what could happen in the future with our ancient gravity furnace. Although our unit was working properly when his work was completed, he did recommend we at least think about replacing it BECAUSE IT WAS 68 YEARS OLD! Of course he's correct and I appreciate the thoughtful way he broke the news to me. I realize parts for this beast are near nonexistent, and it could conk out at any moment, but you'll have to drag our super quiet gravity furnace from my cold, dead hands. Sean was fantastic! Knew what he was doing and was a pleasure to have in my home! Sean was great! I really appreciated the way he took care of us in this house and will be using them again in our new home. Ryan and Sean Were very courteous and professional . Worked hard from start to finish. Resulting in perfect startup on time .Well Done. Happy customer!! Brian Easterling did a great and thorough job today. 5 Stars for John! He was in, changed the filters in our furnaces, cleaned up after himself, and was having me sign the invoice in less than 3 hours. So glad that Pilgrim has the yearly maintenance contract, so I don't have to remember to have someone take care of this task! Matt was extremely helpful and professional during his visit Guys today did great job on furnace installation. Customer service is always a top priority at Jennings Heating Company. Our BBB Membership A+ rating is like a badge of honor as we continuously strive to provide the best experience for our clients.